I mean, when's that exact point in your life when you realize...crap, I'm old. 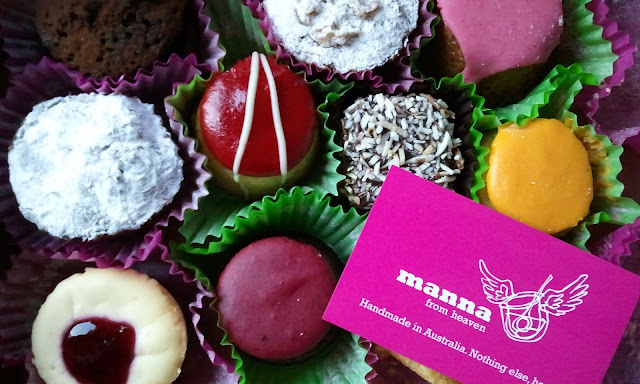 I had a major "oh crap...I'm old" moment when I was on the bus coming home today with a box full of tiny cakes, a bag to carry my 3.5-inch heels in while I wore flats, and 2 heavy bags of groceries. Across from me sat three 18 or 19'ers chirping away loudly like a nest of birds about how hot this guy is and how cute that guy is...I bet they were both total studs. I definitely saw myself in those kids. I thought...I've been there before. I think I could still pass for 18...I really don't look much older than them... And then I opened my mouth. They needed some directions and I as I went to help them out I heard my voice. I heard a grown-up voice. It was missing the constant "like" between every other word and the inflection at the end of every sentence. That helped me realize...yes, I'm grown up. That and the fact that my idea of a great Saturday night is a bottle of cab-merlot, a hot fudge sundae and a great cookbook read in bed. But then again, I wake up on Sunday morning and have cookies and milk for breakfast because my mommy's not around to tell me I can't....a reminder that deep down, I will never really grow up. To make that hot fudge sundae, you might need some decadent fudgy brownies to sit warm at the bottom of your bowl. Don't fret, I have got you covered! This recipe is straight-forward and simple. It can be whipped up in minutes! No fancy machines...just your powerful arms and a mixing bowl. The selling point (aside from the fact that it is made with dark chocolate, butter and sugar) is that it is round! No more discussion over who gets the chewy edge piece and who gets the gooey middle, because now we can have it all! "ALL", I say! To make a truly fudgy brownie, we need plenty of sugar. Sugar is hygroscopic which means that it is really good at holding onto water. 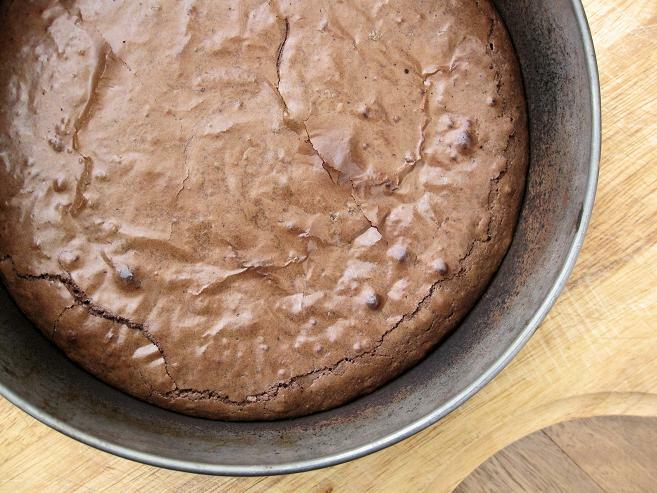 This keeps the brownies moist and nearly gooey when warm. 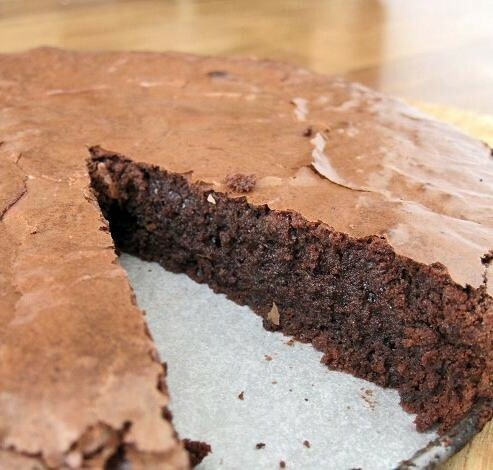 Another big player in the fudge brownie world is to leave out chemical leavening agents like baking powder or baking soda which will create a lighter, more cake-like texture. 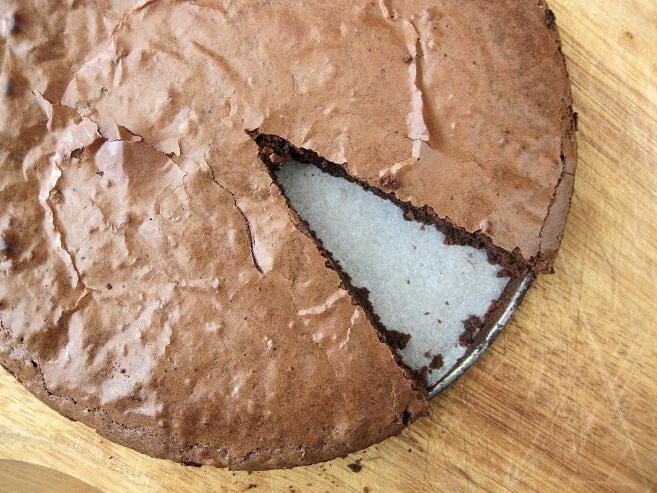 Brownies are not cake, let's make that very clear. Make sure your eggs have come to room temperature so that your batter blends together nicely and the sugar crystals dissolve more readily. If you're from the UK or Australia and you're using caster sugar, then lucky you because you're almost guaranteed a shiny top! If you're in North America and you're using regular granulated sugar, having room temperature eggs is even more vital to the development of a papery crust. 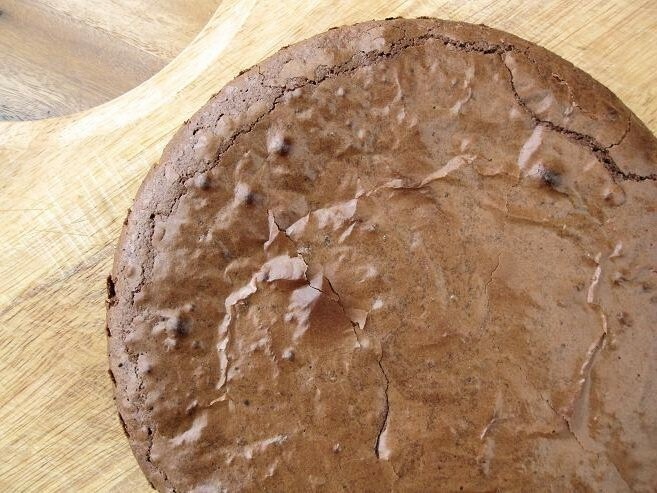 Digging into a warm brownie is probably one of the best feelings in the world, BUT these bad boys become even more dense and fudgy after they've cooled completely. Chocolate has never known a better home. Preheat your oven to 350°F. Lightly grease the sides of an 8-inch round springform metal baking pan with butter and dust it lightly with cocoa powder. Then, line the bottom with a round of parchment paper and set aside. In a medium heatproof bowl set over a pot with ½-inch of barely simmering water, stir together bittersweet chocolate and butter using a spatula until completely melted, smooth and glossy. Set aside to cool slightly. Meanwhile, whisk eggs, vanilla extract and salt in a medium bowl just enough to blend and break up the yolks. Add sugar and whisk vigorously by hand until pale and thick. This will take about 1 minute. Add warm chocolate mixture and stir it in using a rubber spatula until evenly blended. Add flour and stir gently until well incorporated and batter is smooth. Pour batter into prepared pan, spreading it out into the corners and bake until the top is shiny and a cake tester inserted into the center of the brownies comes out with a few moist and sticky bits, about 20 minutes. Transfer pan to a wire rack and let cool slightly before unmolding. Serve warm with vanilla ice cream, or cool completely and slice it using a hot dry knife and serve! For an even more fudge-like texture, refrigerate for 1 to 2 hours before serving. Oh my god!!! I love brownie!!! Yours looks so DELICIOUS yummmmy! These sounds and looks awesome. And thank you for adding weight measurements!! I'm totally trying this recipe. Oh my my! Brownies for dessert? This one would NEVER last long enough to make it til after dinner time! I don't like being called "ma'am" because it makes me feel old...even though "ma'am" seems to be used for most females. I wouldn't mind "Ms" or "Miss." Hehe...cookies and milk in the morning. Sometimes my breakfast consists of a couple spoonfuls of ice cream. Ah...that amazing cracked top. I think I will try making this for a birthday coming up. Luckily this person adores fudgy brownies...and baking them in a round container looks more polished and gives the impression that a lot of time went into this..heh. I don't bake often so I'm terrified of trying something complex like a layered cake. So this or your Dark Chocolate Fudge Brownies seems just right. Thank you.